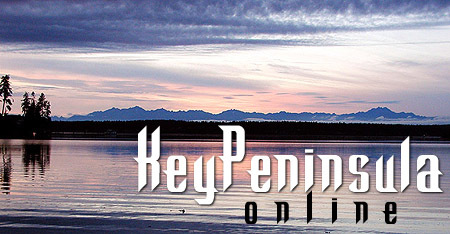 KeyPeninsula.Com is the Key Peninsula's Internet Guide and Directory! This is where residents and visitors alike will come to find your business. If you're not here... WHERE ARE YOU?? Page sponsorships and banner ads are available to any Key Peninsula area business, organization or service club, and will represent your most cost-effective advertising. Reciprocal links to your web site are FREE. Businesses and organizations working with Key Peninsula Online (web site design or hosting) receive FREE banner ads at KeyPeninsula.Com (and GigHarbor.Com and AllTacoma.Com). These banners will likely be the No. 1 source for incoming traffic to your web site! Please contact us at 253-265-8666 or to discuss your advertising needs. (non-Key Peninsula Online Clients) Premium Banner (468x60pixels) - $99/yr.